Marina has spent her whole life mothering her brother, who suffers from an anxiety disorder. After their father's accident, they face losing their home--the only place Dylan's fears are held at bay. 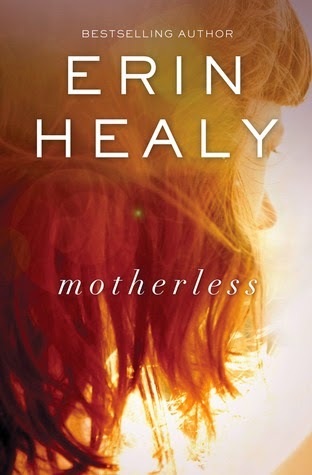 Narrated by a storyteller with more to lose than any other character, Motherless is a richly layered mystery about the power of perception--and deception--among people seeking forgiveness for irreversible sins. I'm not sure what drew me to this book. Honestly, it's not usually the sort of book I'd be drawn to, yet somehow I was. Then, I put off reading it because I couldn't figure out why I'd chosen it. Yesterday, bundled up in blankets against the cold, I decided I was going to give it a go. I'm glad that I did. It kept me reading page after page. My only complaint is that about halfway through, the narrator changes and it took me a page or two to figure out that it had happened. Other than that, the story moved at a well paced speed, the characters were well developed and as a reader, you learned pieces of the puzzle as the children did which made you feel as if you were a part of the story.